This article explains a few missing pieces of the puzzle I had when setting up a home automation network using ZWave. Most of this information is available publicly but it took a while to find or to actually make the connection between what I wanted and what I needed to look for in the documentation. Though being relatively new, Things Gateway was impressive. Easy to setup, automatic discovery, worked with all my devices and very extensible. Lesson 1: The Aeotec USB stick emulates a serial device, which means only one process can use it at a time. You have to disable the Things Gateway ZWave adapter before Python OpenZWave can use the stick. Lesson 2: If some of your ZWave devices are “asleep”, your network will never go into “ready” state. Make sure all your ZWave devices are awake. When running the Python API_DEMO example, the “network.STATE_READY’ was never attained, so I got unexpected results. 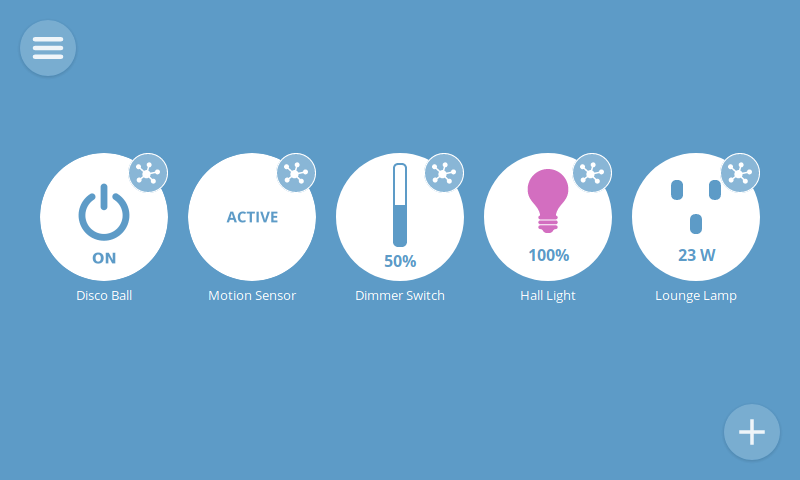 I had to manually wake up the Fibaro Motion sensor (by manually tapping the action button once). It turns out that the ZWave protocol on it’s own does not allow you to “auto-discover” the configuration options available of a device. It needs to know which device it’s talking to in order to know which configuration options that device supports, and it figured out which device it’s talking to from the above “type” and “id” numbers. I restarted my interactive python script ran network.nodes.get_configs()…. and got an empty dictionary again. … and nothing happens. Waiting for a minute doesn’t show any temperature reports as expected. Lesson 5: ZWave devices only update their config when they’re awake. Make sure the device you are configuring is awake! … and don’t forget to re-enable the ZWave adapter from the Things Gateway UI!